Oceania continues to be one of the top cruise lines in the world specializing in their food quality and service. If you ever wanted a mid-size luxury ship this is for you. For a very limited time they are offering some outstanding deals. FREE airfare to all the destinations listed below. FREE agency exclusive $200 shipboard credit. BONUS: Choose 1 of these additional perks; FREE shore excursions, FREE beverage (booze) package, or additional shipboard credit. FREE upgrade to balcony, on select sailings. If you want to go to the most beautiful place on earth, on one of the best cruise lines in the world call us. We are Tahiti and Paul Gauguin specialists...plus we have been there before, so we have first hand experience of this destination. When I first started in this business I was told in order to be good at what you are selling you need to know the product, have knowledge in that product and be able to relate to that product. Well before getting into the cruise business I had worked at some very high-end restaurants, resorts and country clubs. My mom actually worked on the original Queen Mary, now located in Long Beach, California. My father worked on the Queen Elizabeth I in the dining room and in the Tavern on the Green in Central Park in New York City. So I know all about fine foods, wines and 5-star service. With this exposure along with my personal cruise experience with many of these upscale cruise lines I am the agent you need to be dealing with when planning a cruise like this. My parent company often reserves group space on many of these premium cruise lines. With that being said, depending upon the specific sail date we can probably offer you FREE pre-paid gratuities, onboard credits, reduced airfare or other perks. If you are looking for a luxury cruise with outstanding food quality, selection, service, a mostly all-adult environment, gratuities, wine, beer, cocktails and specialty restaurants all included give me a call. I will be able to share all the similarities and differences and explain what makes each one unique. I am a certified specialist with several of these premium cruise lines. 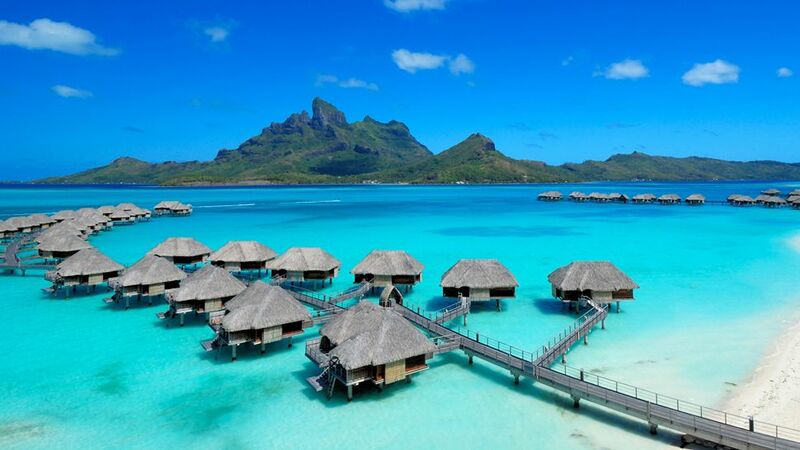 Tahiti, Bora Bora, Moorea and more. 10-day cruise to paradise. This cruise is all-inclusive including all your gourmet meals, specialty dining rooms, a stocked fridge in your cabin, top-shelf liquors and wines, gratuities, select water sports from the drop down marina and so much more.